Only healthy rabbits should be mated. Malocclusion of teeth and congenital eye problems are hereditary and rabbits with these problems should not be bred from. Rabbits should not be mated until full maturity at 8 months old. 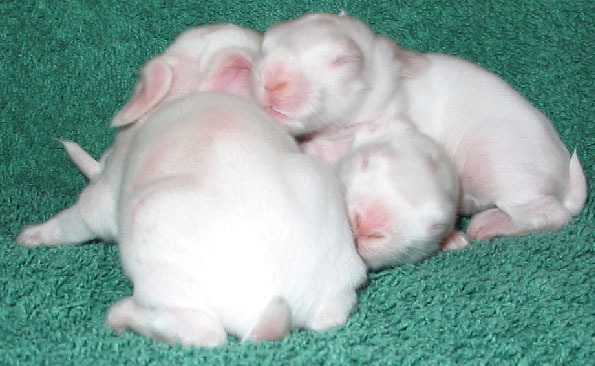 Most breeders wait until the doe is about nine to ten months, and then only if the doe is receptive. A doe should always be clipped just prior to mating, as this will mean the coat is just the right length to line her nest. If the coat is too long babies can become entwined in it and be either damaged or strangled. The doe should be introduced into the buck’s hutch. If the buck is put into her hutch fighting may occur. If the doe is reluctant to mate, remove her and try again the next day. Bucks are usually mated in short coat so wool does not impede performance. Record the day of mating so that the approximate day the litter is due is known. Gestation is 31 or 32 days but it can be a day earlier or a few days later. The best time to mate is during late winter to early summer, the natural time for breeding, although rabbits can be bred all year round. Feed the doe normally until the 21st day after mating then increase the ration during the last ten days. However, the doe might go off her food completely for 2-3 days before delivery. Fresh greens are useful to tempt her . About 4 days before the date due for kindling, clean out the hutch and give plenty of soft straw and hay for nesting material. When the doe has kindled, remove her from the hutch. 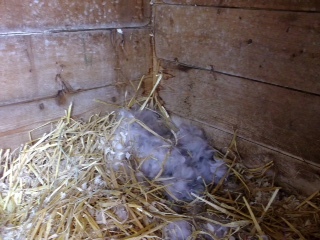 After rubbing hands in soiled bedding quickly examine the nest, removing any dead babies before returning the doe to the hutch with a treat of fresh greens. If all appears well leave the nest alone until the 4th or 5th day. 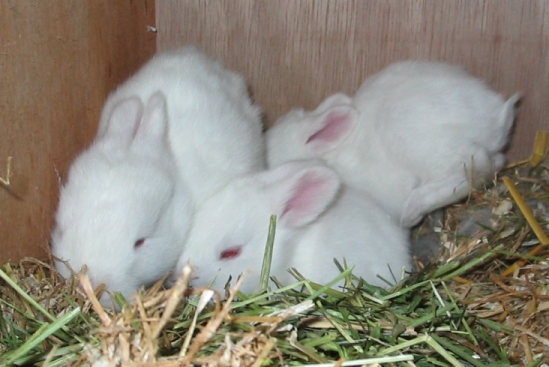 Babies are weaned at 8 – 9 weeks old by removing the doe, leaving the babies in the hutch to which they are accustomed. 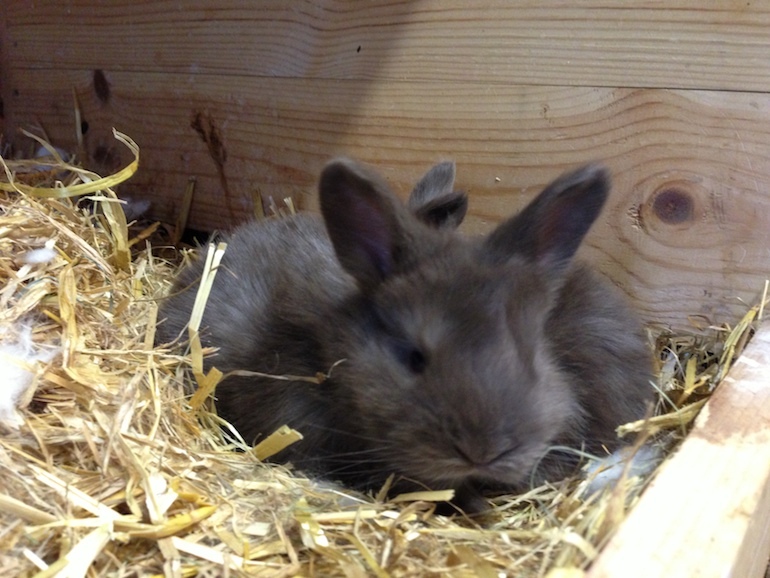 The British Rabbit Council recommend that baby rabbits should not be sold until 10 weeks old. 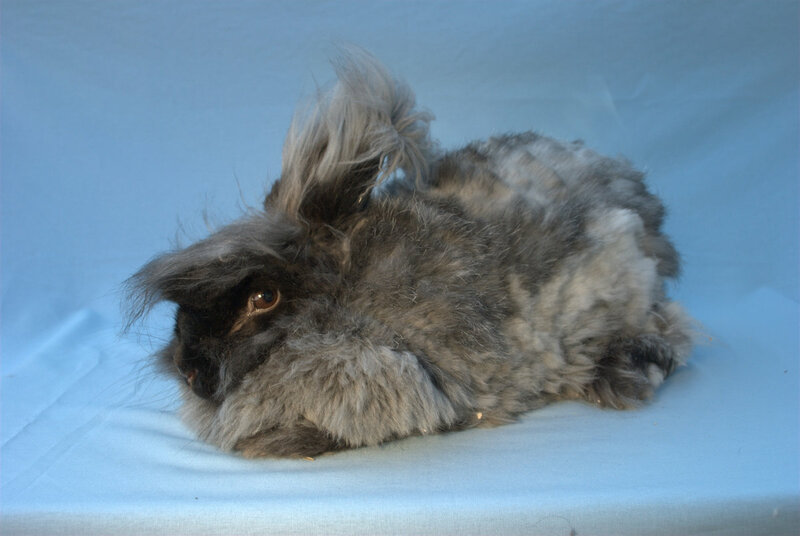 Posted 13/02/2018 by SM & filed under Angora Welfare, Breed Standard.